Computer storage startup Snowflake Computing has raised a $US450 million round of investment that values the company at $US3.5 billion. That’s more than double the valuation it held nine months ago, when it last raised funding. 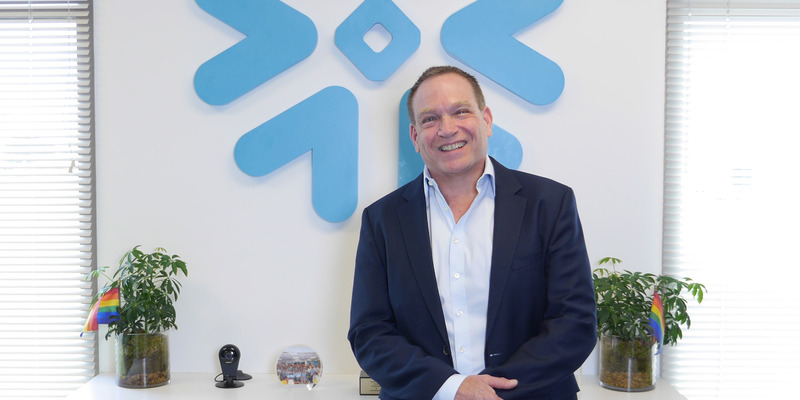 It is a sweet moment of triumph for its CEO Bob Muglia, who rose to fame as a top Microsoft exec before suffering a humiliating dismissal by Steve Ballmer when the two disagreed about cloud strategy. A hot computer storage startup called Snowflake Computing has raised a monster new round of venture investment: $US450 million. This round has given the company a pre-money valuation of $US3.5 billion, the company said. This investment comes just nine months after the company’s last round of $US264 million, which valued it a $US1.5 billion pre-money, meaning it more than doubled its valuation just this year. One reason: Snowflake is run by well-known former Microsoft exec Bob Muglia, who was hired by Bill Gates, helped build the company’s first database product – still a huge business for Microsoft today – worked on Office, MSN, and Windows, and then ran Servers and Tools, a major Microsoft business unit that was valued in its day at $US15 billion and employed about 10,000 people. Snowflake is similar to a cloud-based database. It’s a type of database known as a data warehouse, which takes the vast amounts of data a company is storing in a favourite cloud service, like Amazon S3, and allows companies to sift through it all to find answers to business questions. Snowflake’s claim to fame is that it can ingest all types of data in its native form, reducing the amount of work it takes to process data for analysis. It competes with a lot of different technologies doing similar work in the cloud, including Amazon’s own data warehouse service Redshift. But Snowflake’s advantage over Amazon is that it also supports data from Microsoft Azure, the biggest competitor to the Amazon Web Services cloud. On top of that, Snowflake has been busy striking up partnerships, like one with another hot big data startup, Databricks. The founders of Databricks invented a technology called Spark, which processes data super fast, and is a favourite among science and technical teams – making it a good partner for Snowflake as it moves to expand. Muglia isn’t a Snowflake founder, but he is a key reason for its growth. He was hired as CEO in 2014, making him employee number 34. Snowflake’s success is a particularly sweet triumph for Muglia.As he previously told us, he suffered not just one, but two publicly humiliating career set backs under Steve Ballmer. The first was shortly after Ballmer took over from Gates. Ballmer reorganized the company and passed over Muglia. Ballmer assigned him a task of starting a new computer storage group. The public demotion turned him into something like a pariah for a while inside the highly-political Microsoft. But Muglia fought back, turned the project into a success and rose through the ranks again until he was running the hugely important Servers and Tools division, responsible for about one quarter of the company over. And then Ballmer and Muglia butted heads again, over the direction Microsoft should go in cloud computing. Ballmer basically fired him this time, and very publicly, too, publishing an email that announced is departure that was picked up by all the press. Ballmer promoted Satya Nadella to take Muglia’s place, putting Nadella on the career track to become CEO. The dismissal was not only embarrassing, it was damaging, he says. Muglia had a non-compete agreement that prevented him from jump-starting his career elsewhere. He spent two years at Juniper Networks during a rough period there. All of it taught him how to be a better boss, as well as how to structure a company that can execute well, he says. “We all have situations where we are not successful, but it’s how we handle it,” he previously told Business Insider. After Juniper, he took the CEO job at a tiny startup called Snowflake. In his four years there, has grown it from a company valued at about $US20 million to one now worth $US3.5 billion. Snowflake has raised a total of $US923 million, most of it under Muglia. And his come-back might be even sweeter because Snowflake didn’t support Microsoft’s cloud, Azure, until just a month ago. That means Muglia built this $US3.5 billion cloud company mostly on Amazon Web Services, which is Microsoft’s biggest, most dangerous competitor. But that’s all water under the bridge now, with the two companies forming at least some kind of partnership.